We all know how much kids love the carnival. Think back to when you were a kid, remember how exciting the rides seemed and how much you loved spending the day out with your family? Treating your family to a day out at the carnival is a way to bond with your kids and have a great day out yourself. Not sure how you can bond with your kids when they are running around having a great time? Well, we have put together our top 3 carnival rides that will help you and your children bond on your day out. Side Show games are the perfect way to bond with your kids. They are focused on winning the biggest stuffed toy they can possibly get. Most of the time they will need your help to achieve their goal. Coaching and giving advice on what your children need to do to win the prize is a great bonding experience. Games like Balloon Bust, Catch a Duck and Laughing Clowns are great activities you will both love! Working on the game together will help strengthen your bond and teach your kids at the same time, some sneaky fun teaching never hurt anyone and with Joylands – the kids will always walk away with something! The look on your child’s face is priceless once they win a prize and something that you both will remember! By scary rides we mean the sky high, 3G forces, or wild rides. While the attractions may not seem scary to your kids, they can be a bit daunting to go on regardless. As long as they are of height to ride, having a parent or guardian accompany them will give your kids the courage to try a bigger ride they might not have normally gone on. Body Rock, Round Up and Hurricane are great examples of rides that excite kids but they may still be hesitant without the support of any adult. Helping to support your kids and give them positive reinforcement will give them the courage they need to conquer a ride. They will remember how much fun you had on the ride together while relishing the fact that they went on something scary. Always remember to check each attraction’s height restrictions with your children to see if they are able to ride. Explaining these restrictions with your children will make them prepared. The Ferris Wheel may seem like a strange one but after a long, busy day of having fun, the Ferris Wheel is a great way for the family to come together and re-group. Sitting together and taking in the view is a great way to reflect on the day you have all had. For added excitement take your kids on the Ferris Wheel at night where they can enjoy the view and enjoy all the lights of the carnival. You will be able to slow down for a minute and relax as you enjoy the ride. A great way to end your day! There you have it! Three easy ways you can bond with your children at a carnival or theme park! Taking the time to enjoy these moments will give you memories to cherish for a lifetime! 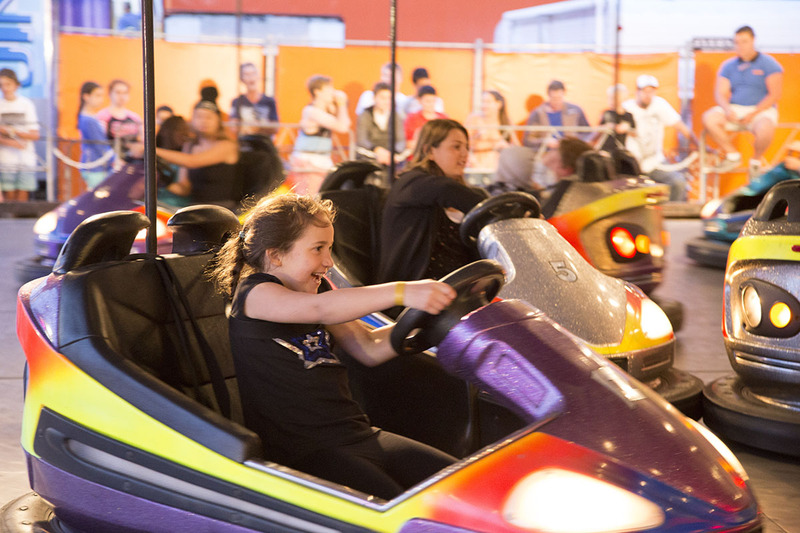 Know any other ways you can bond at a carnival? Let us know your thoughts! If you are interested in creating some memories of your own, give us a call on (02) 9606 9212.